11/28/2014- Durango- Paul Maliszewski, with THRIVE, holds a poster at the main entrance to Walmart on Black Friday. He and others are wanting to bring awareness of a livable wage for workers in Durango. Colorado’s minimum wage quietly went up on Jan. 1, as planned by the passage of Amendment 70 in November 2016 with 55.4 percent of the vote. The second of four stepped increases the ballot measure authorized between 2016 and 2020 took the wage paid hourly workers from $8.31 per hour in 2016 to $9.30 in 2017, and $10.20 as of Monday. It will increase two more times on Jan. 1 in 2019 and 2020 until it reaches $12 per hour. Tipped worker wages also increased from $5.29 in Jan. 2016 to $7.18 in 2018 and will top out in 2020 at $8.98. By comparison, the federal minimum wage is $7.25 per hour, just over $15,000 per year ($3,000 more than the 2017 federal poverty level for a one person household), and has not changed since July 2009. Locally, as of July 2017, La Plata County’s Thrive Living Wage Coalition has calculated the hourly living wage for a single person in La Plata County as $13.31 per hour or $27,684 per year; a parent plus one pre-school child at $23.41 or $48,693 per year; and two adults with one pre-school and one school-aged child at $28.84 per hour or $59,987 per year. This takes into consideration the number of jobs an individual or family would need to have at the minimum wage to afford basic necessities like housing, child care, utilities, transportation, health care and taxes. 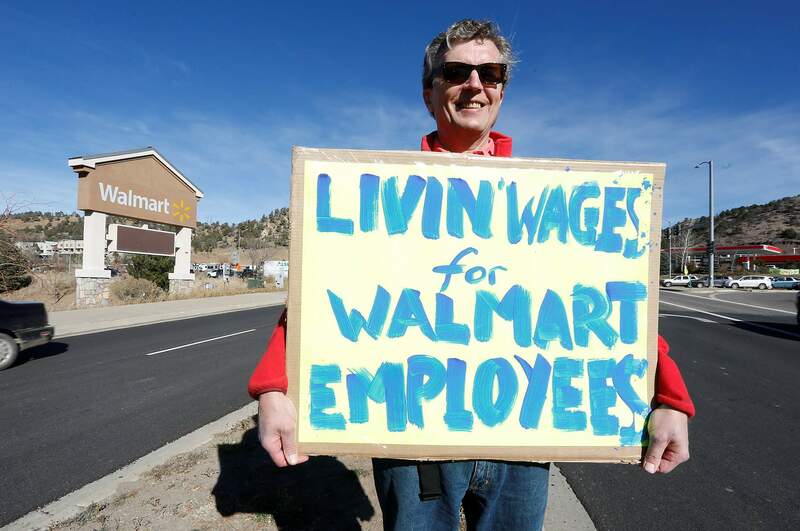 Currently, twenty seven percent of La Plata County residents work in occupations where the median wage is less than $12.98 per hour, .33 cents less than Thrive’s calculated $13.31 per hour living wage. In Nov. 2014, Thrive developed its own Employer Recognition Program and has certified 103 La Plata County employers that pay their employees $13.31 per hour or more. The main reason local employers give for paying a living wage is consistent with the research that advocates for doing so: the gains in employee retention, productivity, happiness, longevity and lower training costs far outweigh any losses. La Plata County government is a living wage employer for these reasons and to support the community. In a 2016 study by the University of Denver (http://bit.ly/2CxQmA4), researchers estimated that since low-wage workers tend to spend whatever they make (there is nothing left to save), Colorado’s wage hike to $12 by 2020 will result in a $400 million injection into the state economy and an increase in living standards for 400,000 households, half of which are families. Amendment 70 opponents cited a study by Portland State University economist Eric Fruits who estimated that a $12 per hour minimum wage could result in 90,000 fewer jobs. Fruits’ critics point out that the last time Colorado raised its minimum wage, by 33 percent in Jan. 2007, from $5.15 to $6.85 per hour, the Colorado economy added 71,200 jobs in the two years following the increase. A 2014 Congressional Budget Office report estimates that a $10.10 per hour federal minimum wage would lift 900,000 families above the federal poverty line and off public assistance programs. The Colorado Center on Law & Policy’s 2017 State of Working Colorado (http://bit.ly/2lHE6Dd), released in December, concluded that economic recovery has not been equally shared or lasting, that for most workers wages are stagnant and underemployment remains a problem. Though current tax reform leans heavily on corporations to drive job creation, wages and the economy, there is still a considerable role for legislators, business and not-for-profit leaders to play developing policies and practices to help people achieve economic self-sufficiency and community health. March is the next month Thrive will be accepting applications for their recognition program. Visit thrivelaplata.org for more information.